This trimmer accurately restores fired cases to the correct length no matter the thickness of the cartridge rim. The lever locks the case in place. The Micro Adjust cutter allows .001" changes without moving the case (extra cost on competitor trimmers). 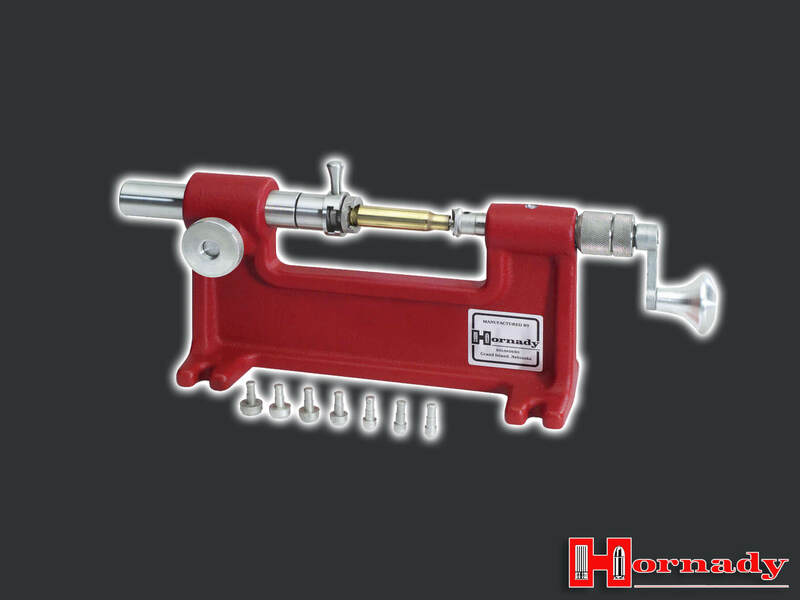 Plus, its large diameter, replaceable cutting head is made of ultra-hard tool steel and trims cases up to 50 caliber. Use only standard Hornady shell holders and pilots. Includes seven of the most popular pilot sizes: 22 cal, 6mm, 270 cal, 7mm, 30 cal, 38 cal and 45 cal.